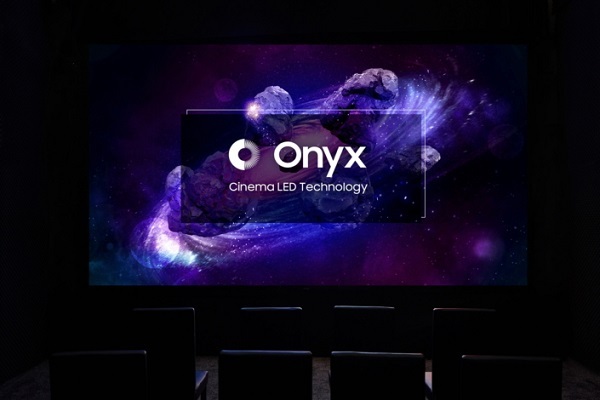 Samsung revealed the cinema LED “Onyx” last year in Seoul and the product has been expanded into the international market including the U.S., China, Mexico Thailand and other countries. Compared with conventional projector screens, the cinema LED offers excellent brightness and color contrast, at 146 foot-lamberts, which is 10 times brighter than standard cinema projectors. Onyx also provides 4K resolutions and can support 2D, 3D and HDR content. Aside from its advantageous performance, installing Onyx LED cinema display in cinemas saves the place of projections room and other related equipment and cost. Without projectors, the theater owners could more flexibly use the space inside theaters. Onyx LED display would be a good option for outdoor applications as the screen would not be influenced by ambient light. Regarding the sound, since it is not possible to place speakers behind the screen, Samsung has adopted solutions from JBL Professional under Harman, which Samsung acquired last year. Onyx utilizes JBL’s new cinema audio system with mounted speakers above the screen. The special processing could synchronize the sound and the image. Samsung has been reaching out with Onyx display. The company launched the technology in Germany this month and reported that it has also talked with Austrian and Indian partners.